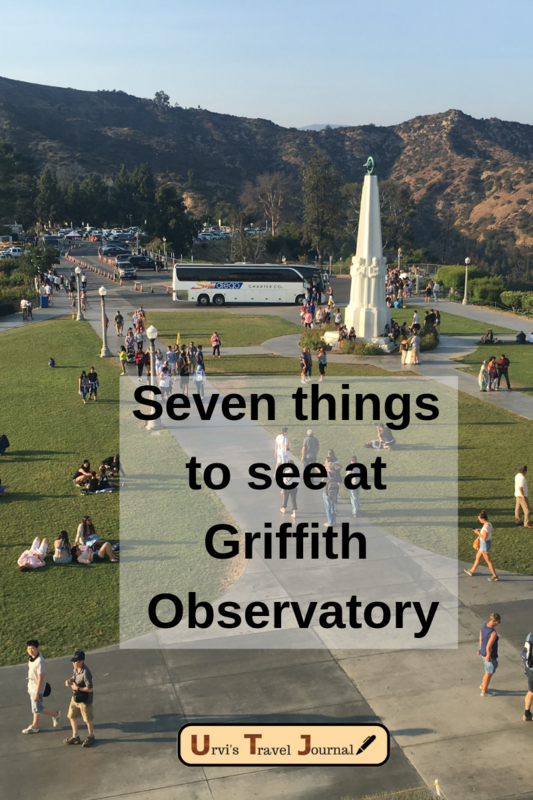 Griffith Observatory is a family fun place and flooded with the people. 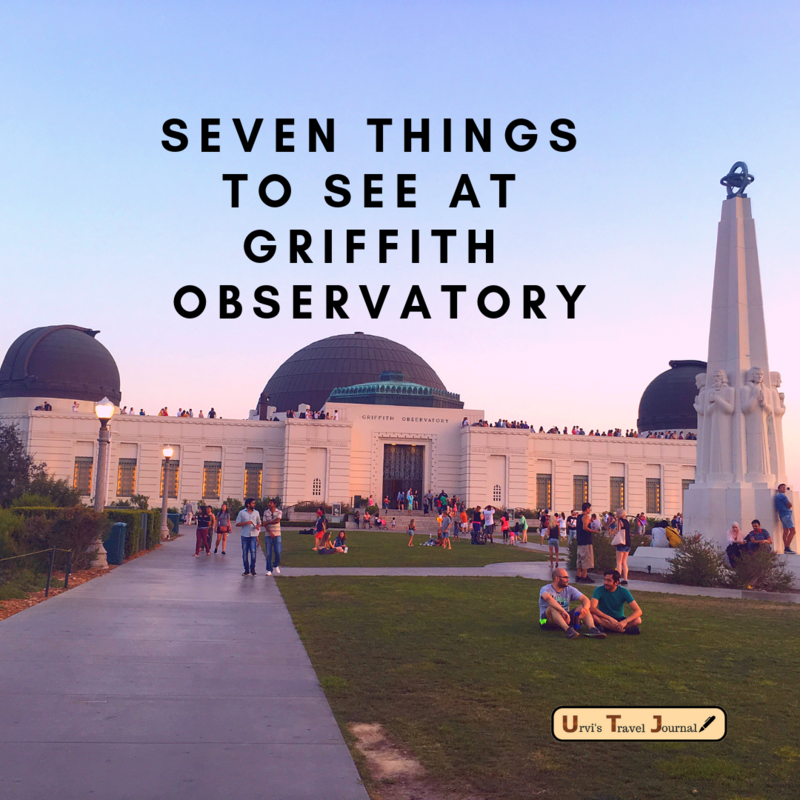 Griffith Observatory was opened to the public in 1935 and now it became the most popular tourist attraction in southern California. It offers a chance to view the stars through a public telescope. It has different exhibits to explore and also check their calendar events if you are planning to attend. I have already shared Griffith observatory is one of the popular spots to enjoy the view of Sunset in Los Angeles. If possible avoid visiting on weekends. The parking lot gets full easily on weekends and holidays so reach early. If you are planning to go in the late afternoon, then use the shuttle bus service. To explore all exhibits and shows give enough time to yourself. at least one day required. I knew Griffith observatory gets crowded but didn’t know this much. We reach there on Saturday around 4 pm and there was a long queue to reach to an observatory parking lot. We made U-turn and park on the street and took the shuttle bus. You cannot unseen anything which pops your eyes. When you get down from the car and turn around the Hollywood sign is right there. 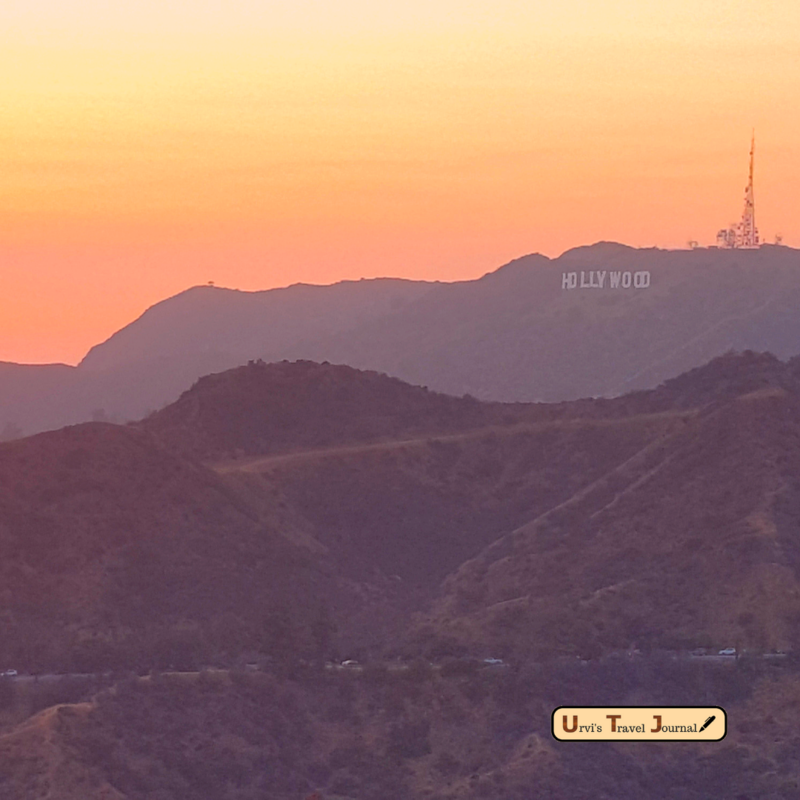 Even before you enter the building you will see people lingering around to get a perfect shot with the Hollywood sign. 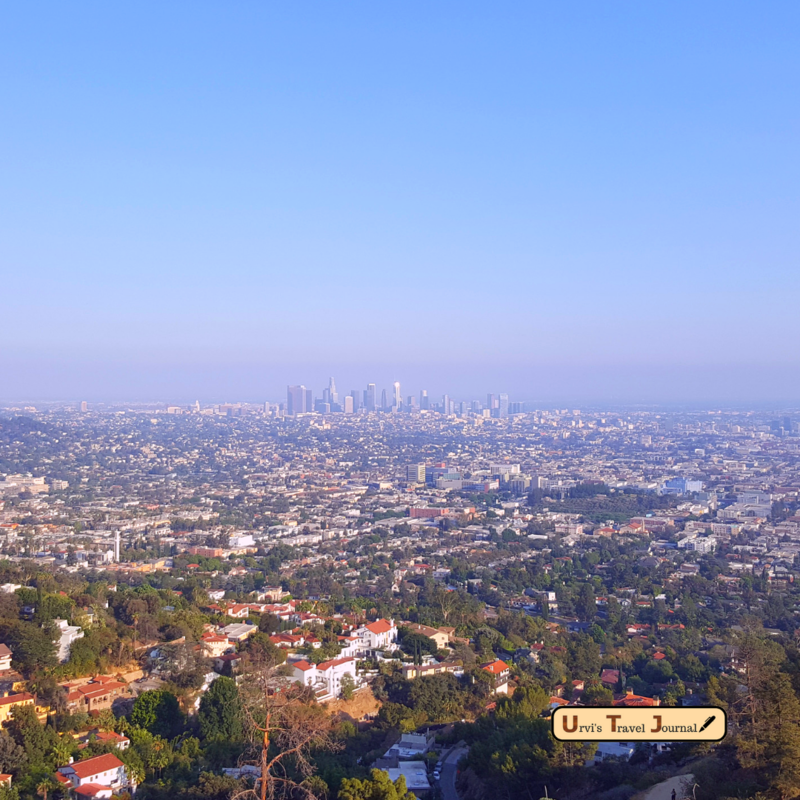 Griffith Observatory is one of the best spots to see the Hollywood sign. This theater offers a variety of programs. It’s free to the public and seating offered on a first come first serve basis. Hence don’t wait, go ahead and grab your seat wherever you can. Right now they are showing 24-minute film explaining the history, renovation, and future of Griffith Observatory. The show runs every hour. The interesting part is this show has narrated by Leonard Nimoy. Within the main floor and lower level there are a number of exhibits. Tesla coil from Wilder Hall of the eye catches everyone’s attention due to giant spark and unnerving noise. Every day one of the staff members of observatory gives a brief presentation of the Tesla coil. The presentation made multiple times in a day for schedule check here. We entered from the main door and many tourists were circling in the center of the room. Hence I was curious to find out what they are looking at. It was Foucault Pendulum. This pendulum is huge and being an engineering student I haven’t seen like one before. The pendulum rotated with the earth. Normally you can view one downtown, but this observatory gives the view of three downtowns, isn’t it unique? Obviously, 1st downtown, which everybody looks for Los Angeles another two are Santa Monica and century field. When you walk through the outside passage of building you will see hiking trails as well. It totally depends on you if you want to go for a hike. I prefer to skip a hike and enjoy the view. This telescope has been kept open to the public since 1935. Unfortunately, when I visited the observatory this telescope was under maintenance hence couldn’t get a chance to look through it. Hopefully, I am planning to visit the observatory again this summer. They also organize star party once a month and put some free-standing telescope to view the stars. I’d love to visit this place. I didn’t know there was so much to see there. I would love to check out Griffith’s Observatory some day. I have yet to venture off to California but it is totally on my list of places to visit this year. Oh, my husband has been wanting to visit the Griffith Observatory. The first think he will do is visit the Leonard Nimoy Event horizon theatre. We may be there all day. What a wonderful place to visit. We have not been there in years, but we will have to visit again. The panoramic views are amazing. And it is situated in so much history.